Our smallest surf-style wake surfboard is a go-to for younger riders (and petite adults) up to 110 pounds who are looking to get above the lip and expand their trick-list. The F-Grom shape arrived on the scene in 2013 when we built a custom surfboard for one of our younger team riders, Frankie Jost. 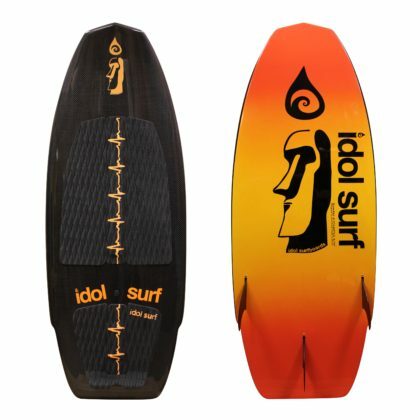 The following year it was released as a production model and became one of the most recommended surf-style boards for younger/smaller riders. Throughout the years, we improved the F-Grom by adding a faster rocker and thinning out the entire board to make it more responsive and easier for amateur riders to get up and shred. The F-Grom wakesurf board is made specifically for groms with performance in mind. 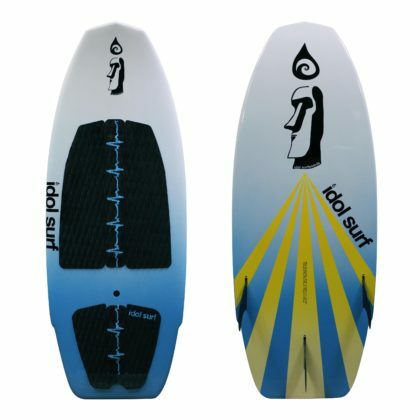 Speed-inducing outline and single-to-double concave make this board fast down-the-line. A thruster fin setup allows aggressive riders to ride twin-fin, while beginners can harness more control by riding single-fin or thruster (3 fins). A progressive rail helps the board hold in the pocket yet remain loose in the tail for slashes and spin tricks. This is the perfect surf-style wakesurfing board for kid shredders and petite adults up to 110 pounds. Free shipping on all wake surfboards in the 48 continental United States! Orders ship via UPS within two business days. 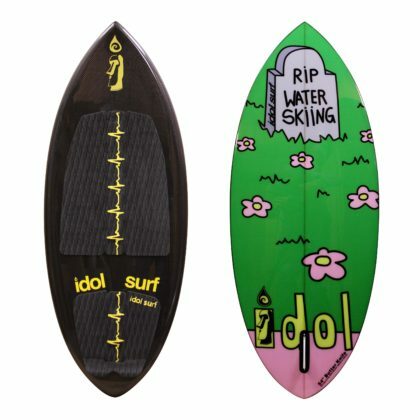 If you want your wake surfboard sooner, check our Dealers Page and visit your local idol surfboards dealer. 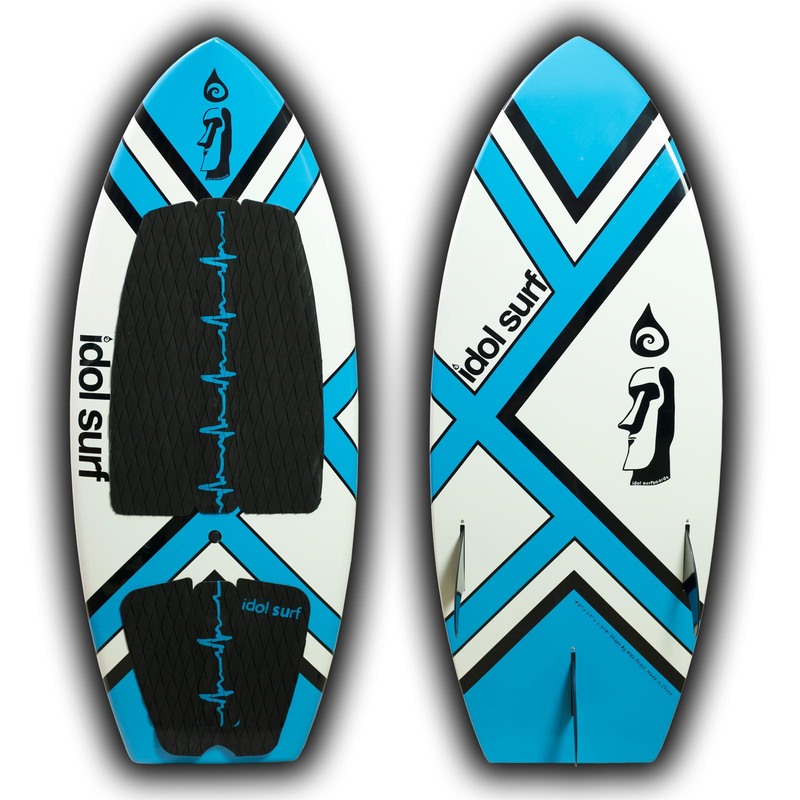 Flattened rocker, full/progressive rails, block tail, deep single-double concave, thruster fins. 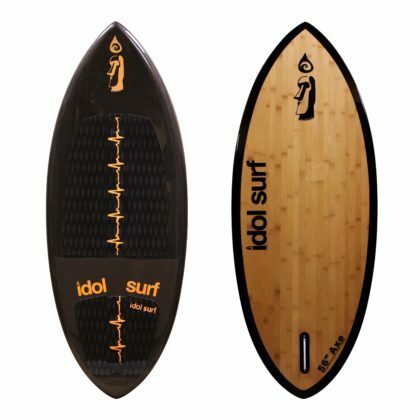 Signature idol surf traction with 1cm raised arch bar in front and back. Included in price. Front traction included in packaging and can be installed to the rider's preference. 3 Futures Fins boxes and fins included in price.